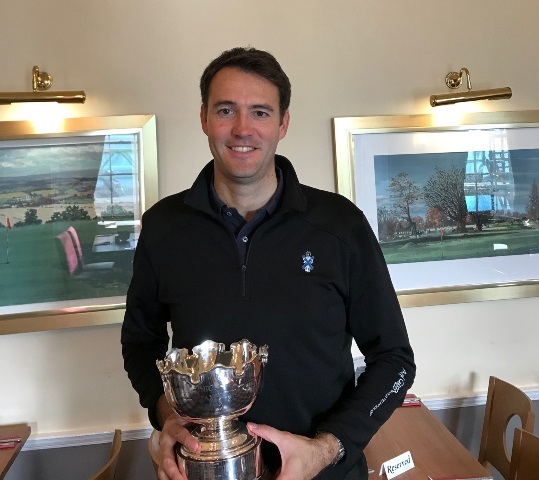 Calum Fyfe has won the West of Scotland Strokeplay Championship for a second year with a two round total of 69+65 =135. 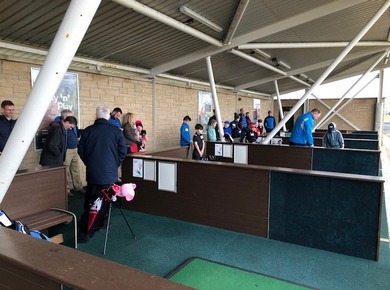 The Championship which was played at Cowglen Golf Cub on Sunday 13th May, attracted a field of over 70 players. Calum is picture above receiving the trophy from GGU Honorary President Gordon Cosh. The results table may be viewed in our competition section here. Further sessions are planned for Spring, see website for upcoming details. Thanks to Junior Conveners and Parents who attended. 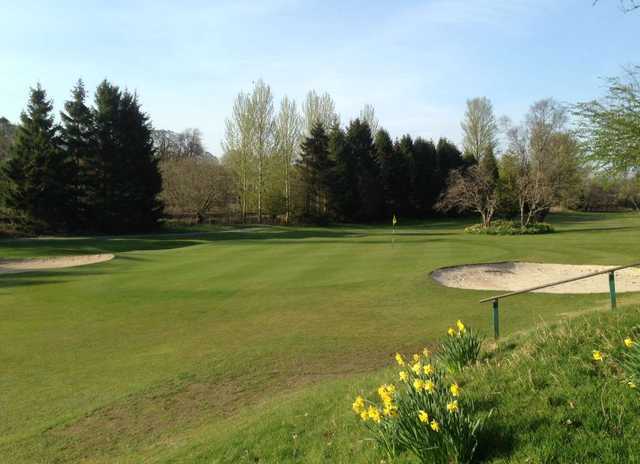 Glasgow Golf Union are pleased to announce that Dougalston Golf Club in Milngavie Glasgow have completed their application, and have now joined the Union. That brings the number of course owning clubs within the Union to a total of 11. Dougalston Golf Club officially opened in July 2001 after undergoing a dramatic transformation. Set in the Dougalston Estate the scenery surrounding the golf club is something to admire. Improvements to drainage allow better play all year round. A warm and welcoming clubhouse offers a perfect time to enjoy a pre- or post-game drink. The course is set within 300 acres of mature woodland with tree-lined fairways and natural water hazards incorporated throughout. Although only seven miles from Glasgow the course is totally secluded with spectacular views across the Campsie Fells. Skillful development has preserved the mature woodland in which the natural wildlife thrives. Around the contours of the estate are some of the most testing and interesting holes to be seen anywhere in Britain. Nick Branney of Cathcart Castle has won the Junior Champion of Champions final beating Louis Fleming of Haggs Castle in the final. Played at Pollok on Sunday 27th November, the final was postponed from earlier in the season. 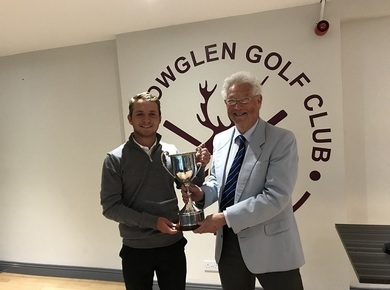 A winning margin of 3&2 caps a fine season for Nick, winning his own club Junior Championship, and the GGU strokeplay event at Cathkin Braes in July. Jonathan King Glasgow GC beats Steven Manning Pollok GC to win the 2017 Glasgow Champion of Championship 4 & 3 at Cawder GC earlier today. 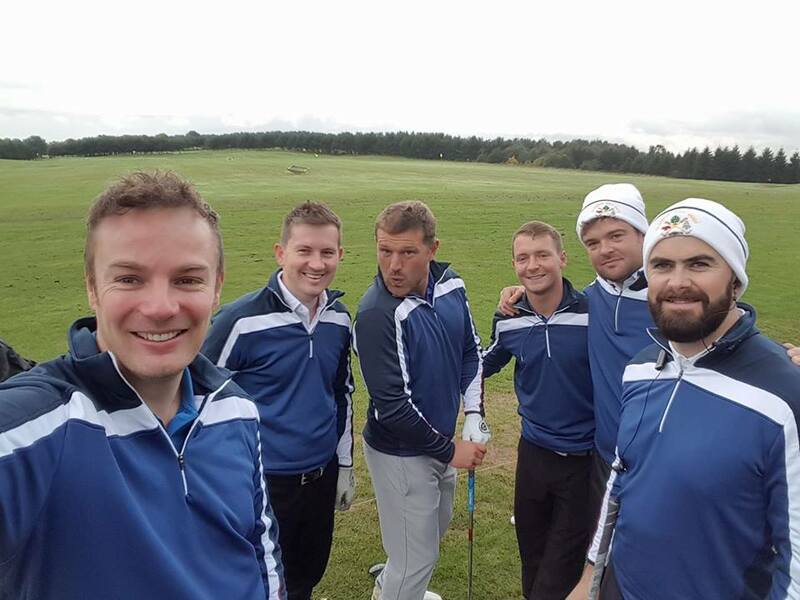 Glasgow's 10 Club Champions play KO match play over the summer months with a September Final each Year. A very good match played in the best of spirits with King taking an early lead at the 2nd hole with par golf then played until Manning found a bad lie in the bunker at the 9th. While he played a good recovery shot lost the hole to par. With birdies on the 10th and 12th holes saw King extend his lead and par golf from then the match finished at the 15th. Thank to Cawder GC for hosting this final. Glasgow falter in the Quarter Finals of the Mens Scottish Area Championships. Losing narrowly out 3 -2 to the North East Area earlier today. Who then went on to win their semi final tie v Lanarkshire and then win Sunday's Final v Lothian. 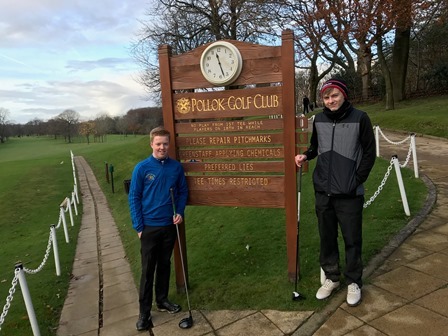 However the main topic of conversation in the clubhouse was Calum Fyfe's remarkable -18 under par for 36 holes on Friday over both courses at Newmachar GC with a new course record over the Hawkshill and equalling the Swalefield course record of 62. We have asked Scottish Golf to check their archives to establish if his 36 hole score has ever been bettered. Watch this space for their reply.